Through the combination of sounds as Detroit Techno, Acid, Disco, House and Electro, São Paulo based DJ and producer Amanda Mussi develops a captivating and diverse atmosphere on the dance oor and in her percussion driven creations, surpassing commonalities as to bring something fresh and novel to the scene. With the influences of 90's dance music, and growing up in a very musical family, Amanda developed a strong passion for music. This feeling became the driving force for her career, triggering the thirst to learn more. Inspired by the magic brought to the room by the sound of merging records, she decided to dive into the DJ world and explore its possibilities. Amanda has been developing her monthly party Dûsk for the past 4 years, where she books renown artists from the local scene of São Paulo. 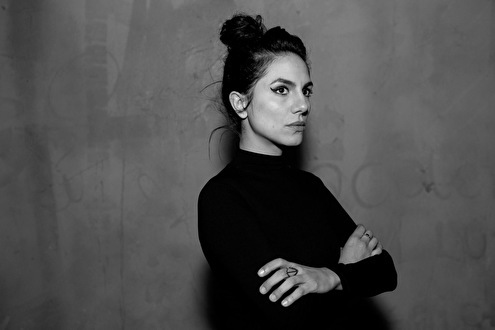 Simultaneously, she has taken her sound to cities such as Asunción (where she worked for 2 years alongside with Sequence Club), Rio de Janeiro, New York, Berlin and Stockholm. In the meantime she is also producing and releasing music, running the .alt bookings agency and collaborating with other artists.